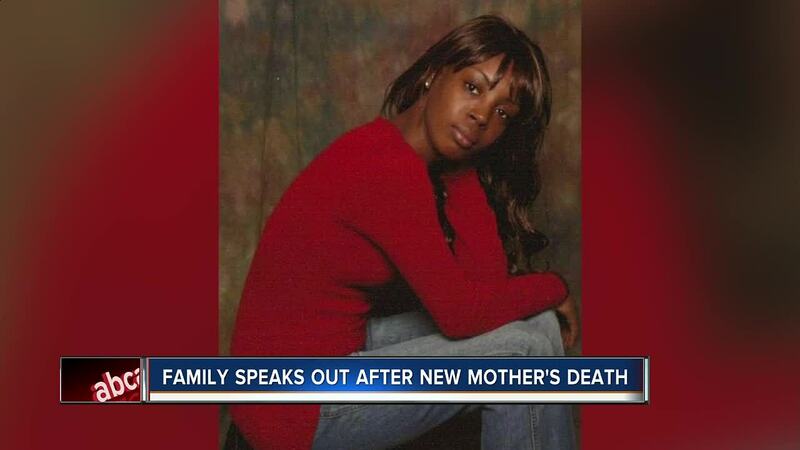 TAMPA — Nicole Black is now a mother of three after her daughter, Crystle Galloway died. Black says this month, she rushed her daughter to the hospital after medics told her she couldn’t afford an ambulance ride. Galloway had a c-section days before when she gave birth to her son, Jacob Aden. “She passed away before her babies umbilical chord dropped off,” said Black. 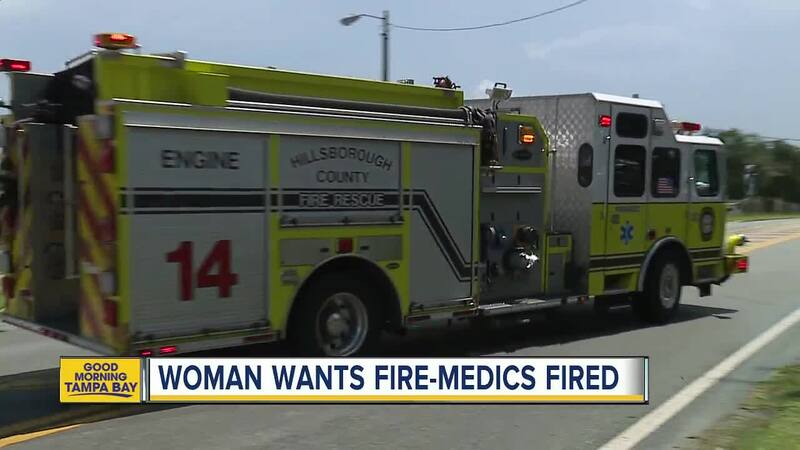 The Hillsborough County Administrator Mike Merrill, admits the four fire medics that showed up to take care of her didn’t do their job correctly. The County Administrator says that is standard protocol and common sense. Black described to ABC Action News on Tuesday, what happened to her daughter that night, just one day after the Hillsborough County Administrator told media the four fire medics were suspended pending a disciplinary hearing. Black says on July 4, Galloway’s 7-year-old daughter called to say something was wrong with her mom. Black lives down the hall in the same condominium complex. She ran to the other condo and saw her daughter slumped over the tub. She called 911 and described what she what saw. Nicole Black: Kind of, yeah. Kind of responsive. Dispatch: Ok. Is she breathing? Nicole Black: Yes, she's breathing. Dispatch: Is she completely alert? Nicole Black: Kind of. Yea, kind of. Something's wrong. After deputies arrived, Black claims they told her she couldn’t afford an ambulance ride. "They never asked us if we had insurance, which we do,” Black said. She feels she was stereotyped. After fire medics got Galloway down the stairs, the County Administrator says the group made their second mistake. They let Black drive Galloway to the hospital without signing a consent form. Black claims the fire medics told her again she couldn't afford the ambulance. "She’s 30 years old and just graduated from college, she had her whole life ahead of her,” Black said about her daughter. "You can tell me you’re sorry, you can give me your condolences but you still have to work this out with God." Merrill also says the fire medics didn't fill out the final paperwork correctly. They checked the patient hadn't been found when clearly she had. Black would like to see these four fire medics fired. A disciplinary hearing is being held Tuesday to decide whether or not they will keep their jobs.